Best of October 2013: Victorian Restoration, Home Accessories and More! Where did this month go? We went from harvest to Halloween in our October blog posts, starting with polka and liver nips at the Newberry Oktoberfest through to our vintage Halloween photos! 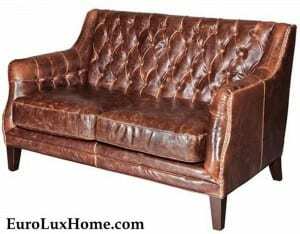 Along the way we talked about some gorgeous antique furniture and home decor inspirations. Let’s revisit some of our favorite October posts. 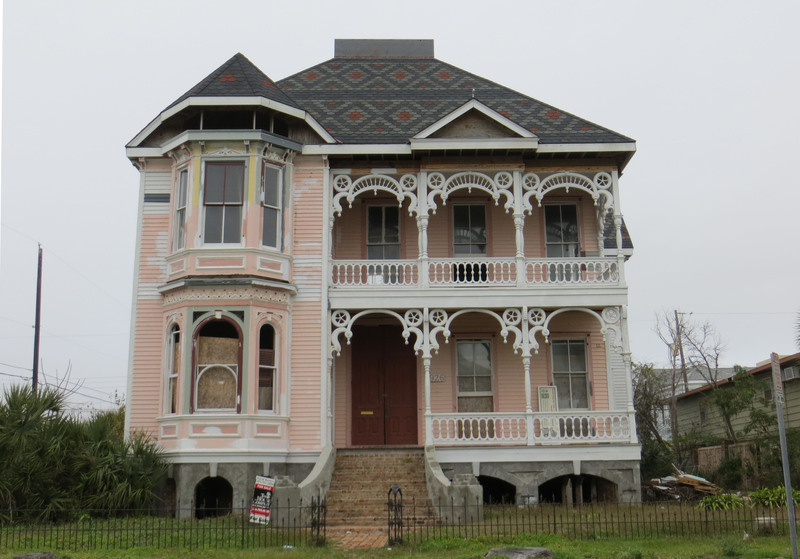 Our client Angela M. is restoring this beautiful 1890 Victorian house in Galveston, TX. The white porch is adorned with mariner’s wheels details and Angela bought several pieces of French Brittany furniture from us to continue the maritime theme. 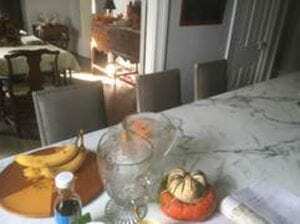 See more about Angela’s Victorian restoration and the antique Brittany furniture! With Halloween on the horizon, we took a tour of the Gothic chandeliers and other magical light fixtures in our gallery. Check out the dragons, eagles, and castles in our Gothic Chandelier post! 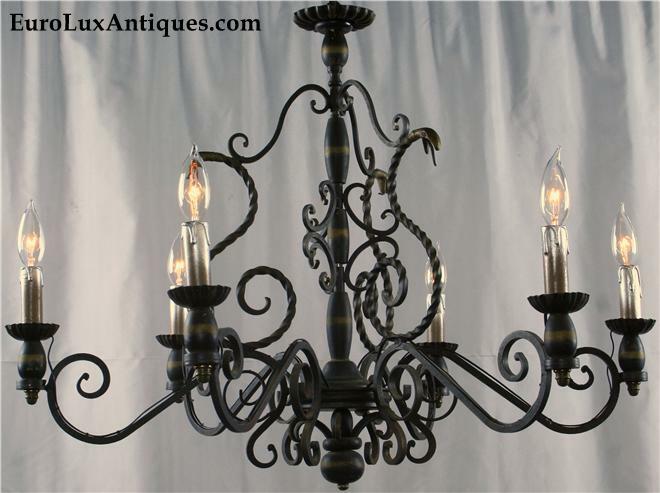 Of course, vintage Gothic chandeliers add character and Old World atmosphere to a home all year round. They offer a dash of drama, fantasy, romance and mystery. 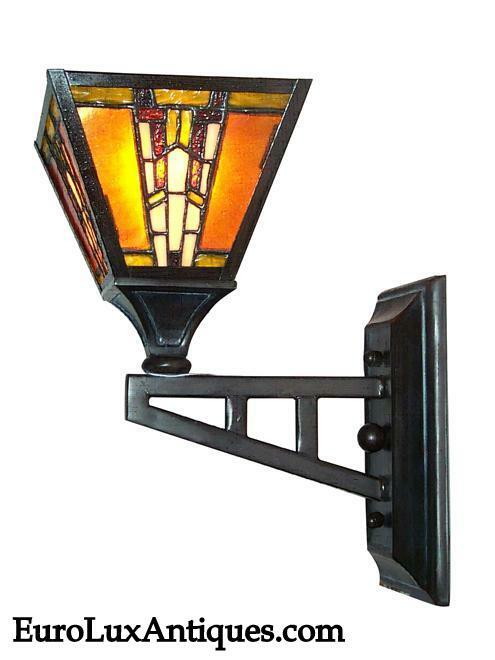 They’re great for period-style homes, but also perfect for people who love an eclectic element in their home decor. Speaking of eclectic, we also looked at the many ways you can use stained glass in home decor accents. If you think stained glass is only for church windows… think again! Of course we looked at some lovely examples of stained glass in home windows, but also explored ways to add a touch of luminous stained glass color in furniture and lighting too. And we found stained glass patterns in fabrics, wallpaper, decals, and even a shower curtain! We also turned our client spotlight on this antique buffet we provided to the Gordon-Conwell Theological Seminary in Boston, MA. 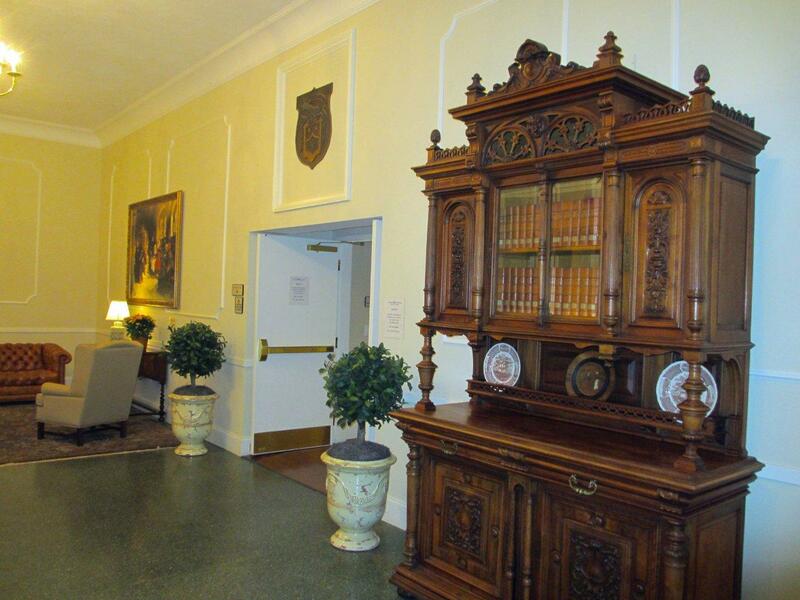 The seminary is one of the largest evangelical seminaries in North America and a donor generously gave funds to decorate the lobby. Mary Ann asked us to help her find an impressive antique buffet suitable for the space, and this elaborately carved Henry II Renaissance-style buffet dating to 1900 did the trick! See more about the 9-foot-tall sideboard and the new lobby decor in our antique buffet post. 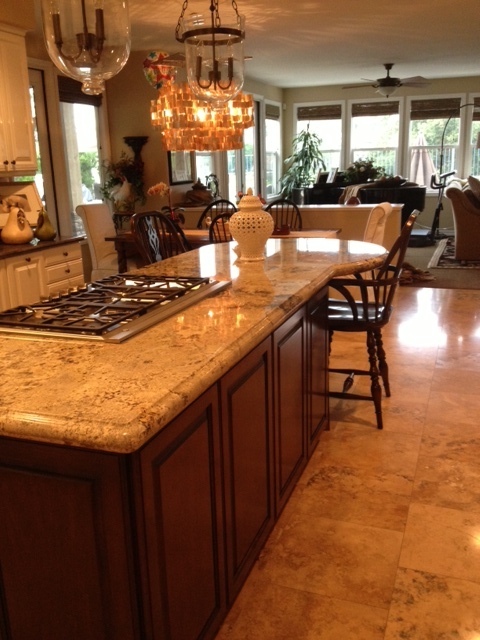 Our Windsor Counter Stool client spotlight described how Wendy in California saved money with us when she was searching for stools for her kitchen. Wendy is a very smart shopper! The Woodbridge Windsor counter stools look perfect in Wendy’s lovely kitchen and although they are hand-crafted to appear authentically antique, they offer the modern convenience of a swivel seat! Thanks for sharing October with me. 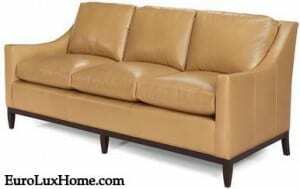 We’ve got lots more to say about home decor, antique furniture, and living it up, vintage style. Sign up here to receive our blog posts, and you can follow us on Facebook too. This entry was posted in Antique Furniture, News and tagged Antique Buffets, antique French Brittany, antique French furniture, antique Renaissance buffet, Brittany Antique Furniture, counter stool, home decor, home decor accessories, interior decor, interior design, Victorian Restoration, Vintage Lighting on October 31, 2013 by admin. 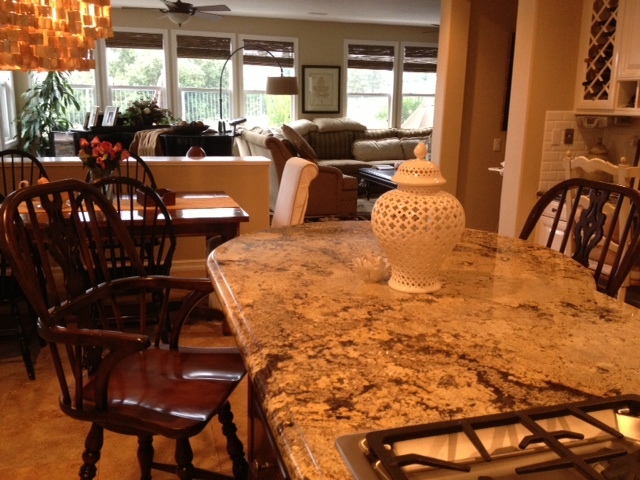 Wendy C. in California told us how she came to buy the Windsor counter stools we shipped to her recently. She is a very smart shopper! Wendy did what we keep hearing so many retailers lament about. She “showroomed” or shopped on her smartphone while browsing for Windsor counter stools in a bricks and mortar store near her home in Trabuco Canyon. Wendy found the same brand-new, high-quality counter stool in the Windsor style by Woodbridge Furniture Company on our website, but our price was better! 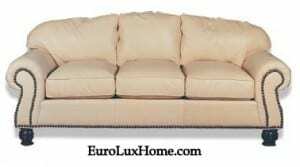 She gave us a call and decided she was willing to wait for us to ship a pair of stools because of the savings. Remember: we offer free shipping on all items! Wendy also liked the idea of buying directly from a “mom and pop” store on Main Street rather than from a big department store. Even though we have a virtual gallery on the web, we are indeed a family-run business here at our Main Street store in Newberry, South Carolina. 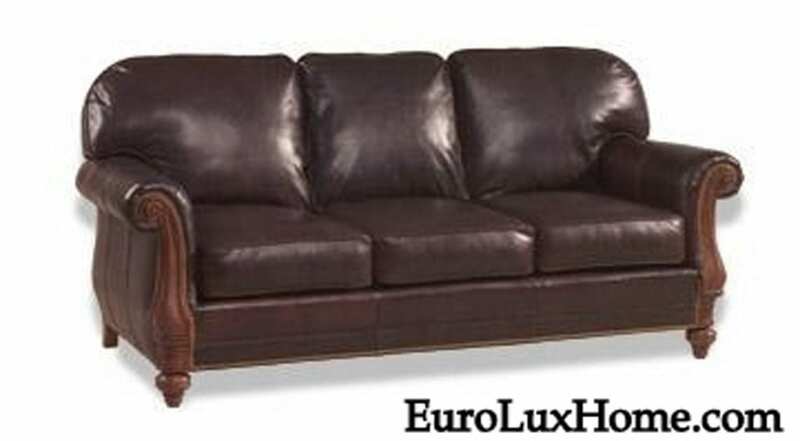 Without big city overheads, we can offer antique and high-quality reproduction furniture at a small-town price. That’s why Wendy found our Woodbridge Windsor counter stool was so much cheaper. We’re glad she found us too! 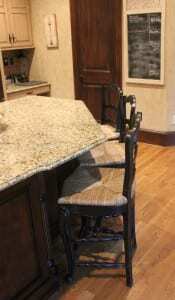 Here is the pair of swivel seat Windsor counter stools in Wendy’s lovely kitchen. The stools match perfectly with her Windsor dining chairs, and they look exceptional against the dark veining in the counter top. Although the stools look authentically antique, they’ve got built-in modern convenience as the carved saddle seat turns on a heavy-duty swivel mechanism. 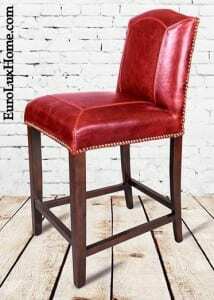 This stool is also available as a Windsor bar height stool. The curve of the counter stool works beautifully with the curve of Wendy’s kitchen counter and the wood tone blends with the cabinets. The stools also accent the curvy silhouette of the white lidded bowl and the elegant light fixtures. 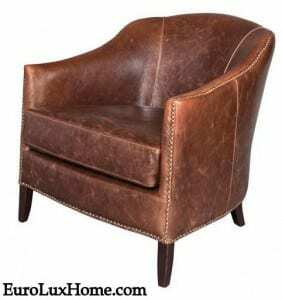 Windsor style chairs and stools originated in Great Britain, as you might guess. The basic spindle back design like wheel spokes was seen by the 16th century. 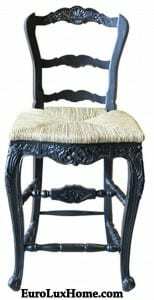 However, a more sophisticated version became easier to craft during the 18th century, when steam was used to create the bow-back typical of the chairs. 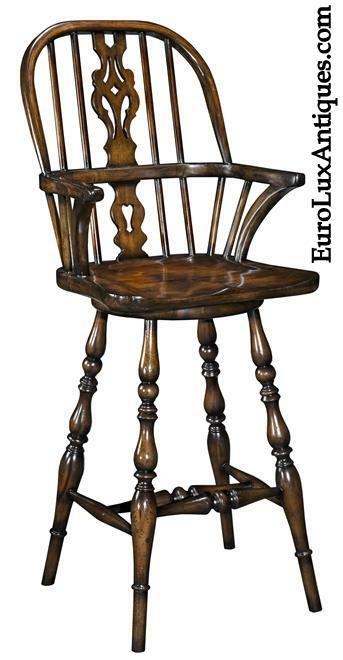 The earliest chairs made in this way came from the small town of Windsor, in Berkshire, England. (Windsor is also quite well-known for its castle!) The name stuck. 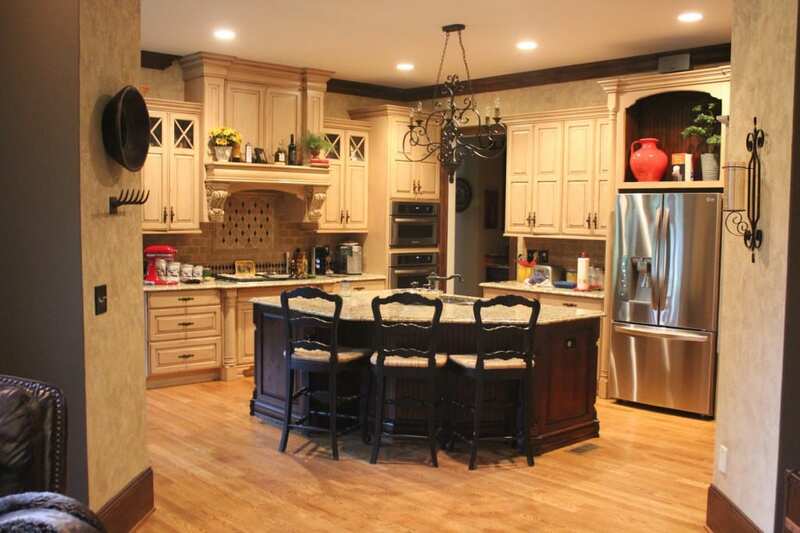 Thanks to Wendy for letting us take a peek inside her kitchen – it’s a beauty! 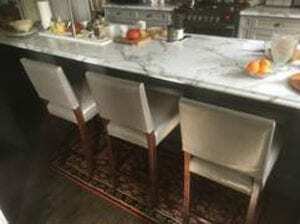 This entry was posted in Client Spotlight and tagged barstool, counter stool, high quality reproduction furniture, kitchen, reproduction furniture, Windsor style, Woodbridge Furniture Company on October 3, 2013 by admin.